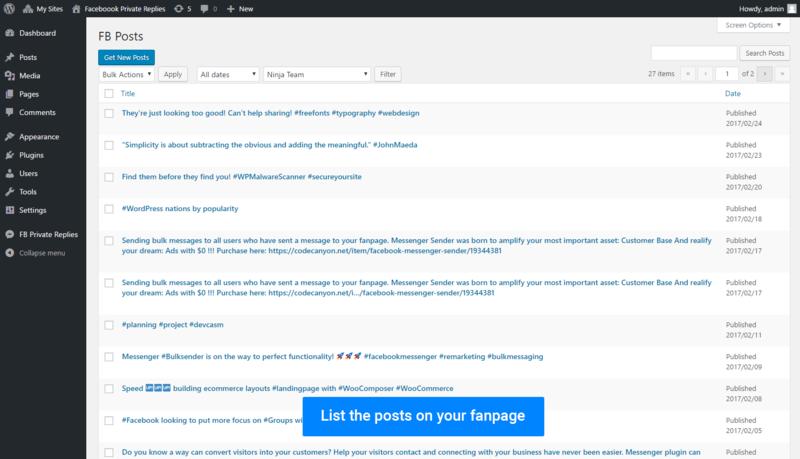 You don’t need to imagine - that you grab thousands of FB leads in your WordPress database from just ONE Facebook post. 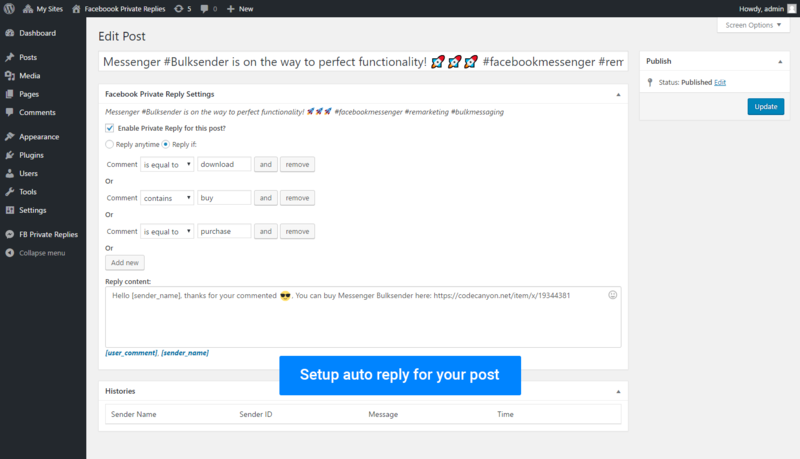 A: This Auto Reply plugin helps you increase inbox rate, and you can use Messenger Bulksender plugin to help you collect user data and send bulk messages to your users. A: When someone messages your page, Messenger Bulksender keeps their contacts in your database and lets you send tailored messages in bulk to them. 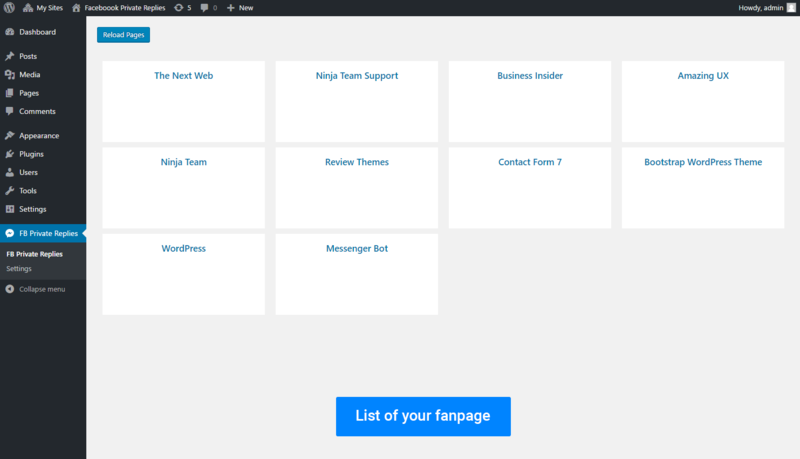 Think about MailChimp, but in Messenger inbox. 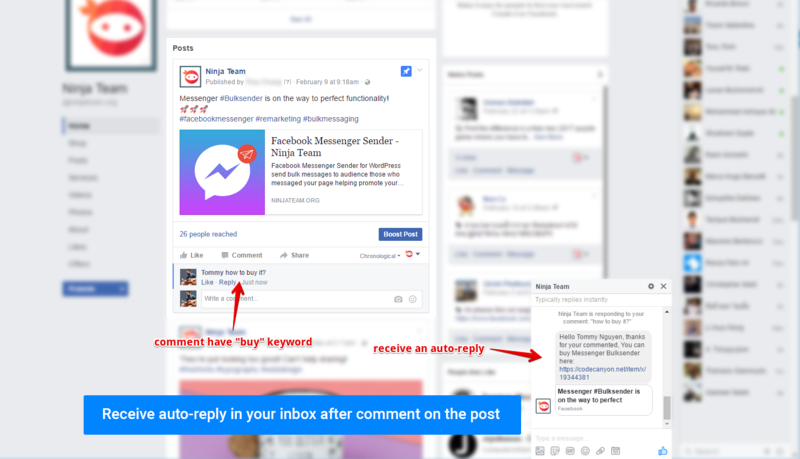 When someone comments on your page/posts, Messenger Auto-Reply automatically sends private messages to them, intrigues them to reply and engage.